Yorkshire Water has been fined £350,000 for illegally discharging sewage that polluted a Harrogate watercourse. The company was sentenced at Bradford Crown Court yesterday (17 August) after previously pleading guilty to an environmental permitting offence relating to a pollution incident from a sewer overflow near Sherwood Drive, Harrogate in April 2013. At the time, the company had reported a blockage in the sewer that had caused untreated and unscreened sewage to flow into Rud Beck at Sherwood Drive. Inspections by the Environment Agency found that the pollution had a significant impact on Rud Beck and the River Crimple, into which the beck runs. Prosecuting for the Environment Agency, Richard Bradley told the court that toilet rolls and rags could be seen, and the water downstream was a cloudy, yellow-grey colour and smelt strongly of sewage. Samples showed high levels of ammonia and low levels of dissolved oxygen. Yorkshire Water had notified the Environment Agency about the blockage on 15 April 2013 but further investigations revealed that sewage had been discharging from the overflow since 12 April. The company had not responded sooner because its telemetry alarm system, which is used to alert the company to discharges, had been malfunctioning since 15 March and the alarm had not been reset following a previous alarm on 16 March which was triggered by a permitted discharge during high flows. The company had also failed to detect an increase in the telemetry levels on 12 April. Sewage overflows of this type can be used for discharging effluent into a watercourse, but only in storm situations when water flows are too high for the sewerage system to cope with the increased volume of water. Storm conditions were not present at the time of this incident and untreated sewage entered the beck for 87 hours causing significant pollution affecting over five kilometres of Rud Beck and the Crimple. It is not uncommon for foreign objects to enter a sewer and cause blockages and this is why telemetry is so important. The impact of this discharge would have been significantly less if the telemetry had been working properly or if Yorkshire Water had detected the increase in the telemetry levels and responded sooner. In mitigation, the court heard that Yorkshire Water had not sought to evade its responsibility for the incident. It had self-reported the incident and pleaded guilty at the first opportunity. 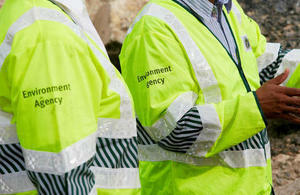 It had also cooperated with the Environment Agency’s investigation and had organised and paid for the clean-up. The court also heard that a planned telemetry upgrade had gone ahead in May 2013 and the company said that, since the incident, it has introduced a clear escalation procedure for responding to apparent contradictions in its telemetry system. In addition to the fine, Yorkshire Water was ordered to pay £30,000 costs to the Environment Agency.